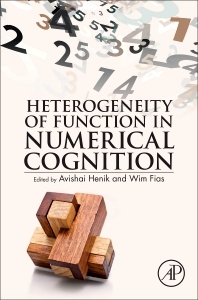 Heterogeneity of Function in Numerical Cognition presents the latest updates on ongoing research and discussions regarding numerical cognition. With great individual differences in the development or function of numerical cognition at neuroanatomical, neuropsychological, behavioral, and interactional levels, these issues are important for the achievement of a comprehensive understanding of numerical cognition, hence its brain basis, development, breakdown in brain-injured individuals, and failures to master mathematical skills. These functions are essential for the proper development of numerical cognition. 1. Numbers and language: What’s new in the past 25 years? 12. Which space for numbers? 16. (How) are executive functions actually related to arithmetic abilities? 19. Working memory for serial order and numerical cognition: What kind of association? Dr. Fias is a Professor of Experimental Psychology at Ghent University where he holds the Chair of the Multidisciplinary Research Platform of Neuroscience and is co-chairing the Institute for Neuroscience. He has been consulting editor for Journal of Experimental Psychology: Learning Memory and Cognition and was an editorial board member of the journal Cognition. He serves regularly as an ad hoc reviewer for all major journals in the domain of Cognitive Psychology and Cognitive Neuroscience. 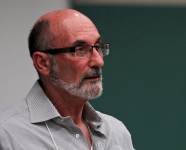 Dr. Fias has over 100 publications on the topics of numerical cognition and cognitive control. His research uses behavioral and neuroimaging techniques in a complementary way.